Heeft u een vraag voor Hotel Bay Watch? Ontworpen voor zowel zakelijke reizigers als toeristen, is het Hotel Bay Watch ideaal gelegen in Unawatuna strand; één van de meest populaire buurten van de stad. Op slechts 165 km afstand, kan dit 3-sterren hotel eenvoudig worden bereikt vanaf het vliegveld. Dit moderne hotel ligt in de nabijheid van populaire stadsattracties zoals Unawatuna Strand, Dewale Strandweg, Pearl Divers. Het Hotel Bay Watch biedt gasten superieure dienstverlening plus een breed scala aan voorzieningen en is toegewijd om uw verblijf zo comfortabel als mogelijk te maken. Het hotel heeft een uitgebreid aanbod aan services, inclusief 24-uur roomservice, wi-fi in openbare ruimtes, parkeerplaats, roomservice, vervoer van/naar luchthaven. Aanvullend beschikken alle gastenkamers over een variëteit aan voorzieningen als internet (draadloos), draadloos internet (gratis), airconditioning, bureau, balkon/terras, om zelfs de meest veeleisende gast te tevreden te stellen. Het hotel biedt geweldige recreatiemogelijkheden die uw verblijf onvergetelijk zullen maken, zoals massage, tuin. Het Hotel Bay Watch is een ideale verblijfsplaats voor reizigers die charme, comfort en gemak zoeken in Unawatuna. Het hotel ligt in hetcentrum met veel restaurants in de directe omgeving en een paar minuten lopen naar het strand. Hotel Peacock, direct aan het strand, behoort tot dezelfde keten en daar kun je gratis gebruik maken van een ligbad. Het onbijt is oke en het personeel behulpzaam. Nice hotel not far from the beach. Beds need new matrasses. Friendly staff. Clean. Small breakfast. AC working fine. Mosquitonets on all beds. Ok place but far from luxurues and deluxe. Good location, friendly staff but our room noisy and dark(bottom floor though). - Throughout the stay there was water shortage at several occasions, and hotel staff was not prepared and lacked basic skills to handle the emergency situation. - Bad bed on which it was impossible to sleep. 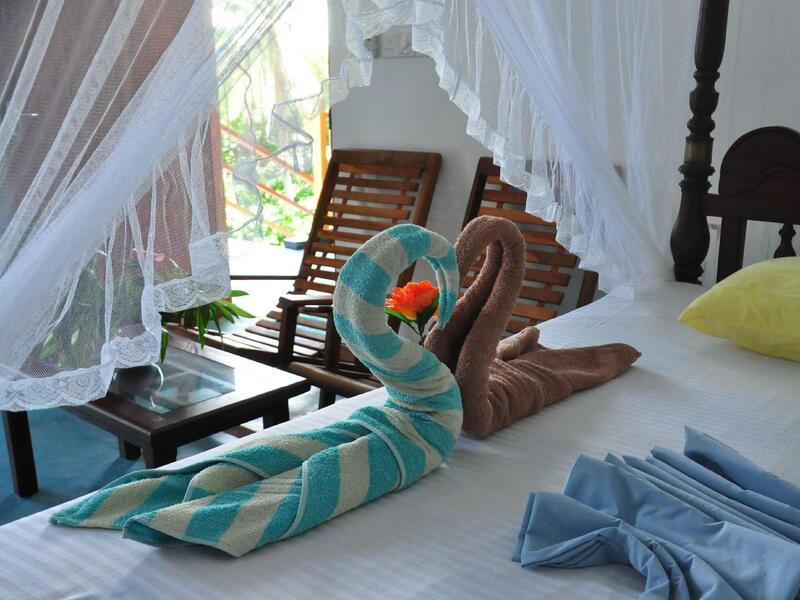 - Hotel staff can be better prepared to serve the tourists in a more professional way. - Location of hotel was good, food and beverages served were also nice, same can be complemented with more professional skills. There is a very busy road right infront of this small hotel. Very steep stairs with low "safety" walls and unsafe railings going up 3 steps of stairs to a family room makes it a nerve wrecking experience every time you leave your room. Beds are slept through and you can feel every spring. The manager speaks no English and the lady just wants your money. Don't take breakfast as it is much cheaper at all the other restaurants on the beach and includes very little food. The AC is very low on power and the water pressure in the shower is so low that you cant even rince your hair properly. The staff wake up late and you have to wait for them before you can get a cup of coffee. The kitchen is open and dishes and food left all over, covered in flies. Breakfast will be cooked for the whole hotel on a 2-plate stove! There is no tv, no kettle and no fridge. There are much better properties for less money closer to the beach who can actually provide you with all you need. There was a small mix up with our booking that did not have anything to do with us or the hotel. The staff handled it well. We stayed in a big room above the main entrance overlooking the street. We got a good night's sleep. No horns blasting and there was no traffic later on in the evening. The breakfast was ok. Some steep stairs to get to the second floor but I think they have rooms at the street level as well. Nice place, very nice breakfast, close to the beach and some fantastic restuarants. Would definitely go back. Clean and quiet hotel dispite being in a busy tourist area. Easy access to beach and many restaurants. Staff typical of sri lanka - super helpful and friendly. Balcony had a great view of both main street and beach. I really liked this place, great price and comfy bed with NICE patio. Wifi didn't work for 2 days, kind of annoying, We kept asking them to turn it off and on again but the router is up so high on the wall so they didn't until our last day and then TA DA it worked. Clean and comfortable with good breakfast. I like it! Door of the bathroom couldn't close. Also, the staff doesn't speak English very well. Good air con. 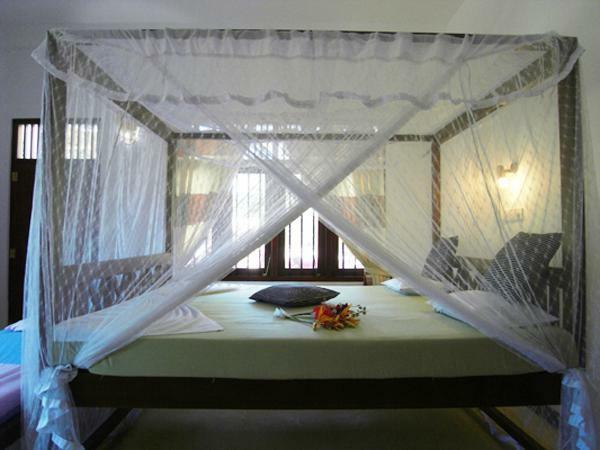 Rooms are big with mosquito net. Overall this hotel is not bad. Just that they need to improve on their breakfast. It is just 3 mins walk to the main beach at the back of the hotel. At night tourist can enjoy seafood at the main beach. But remember to ask for discount and compare at few stalls. Will come back again for this hotel. this hotel consider not bad but the breakfast is really not nice!!! Traveler must bring their own hotel amenities (shampoo/ soap/ shower gel). We got the room which door couldn't be closed and the personal didn't see that this was a problem. They didn't want to help at all. Finally after getting pretty upset they promised us a new room the next day, but we didn't get it. I like the location it just minutes from the beach, room are spacious and clean. Staff are responsive and friendly. Good Stay and will come again. 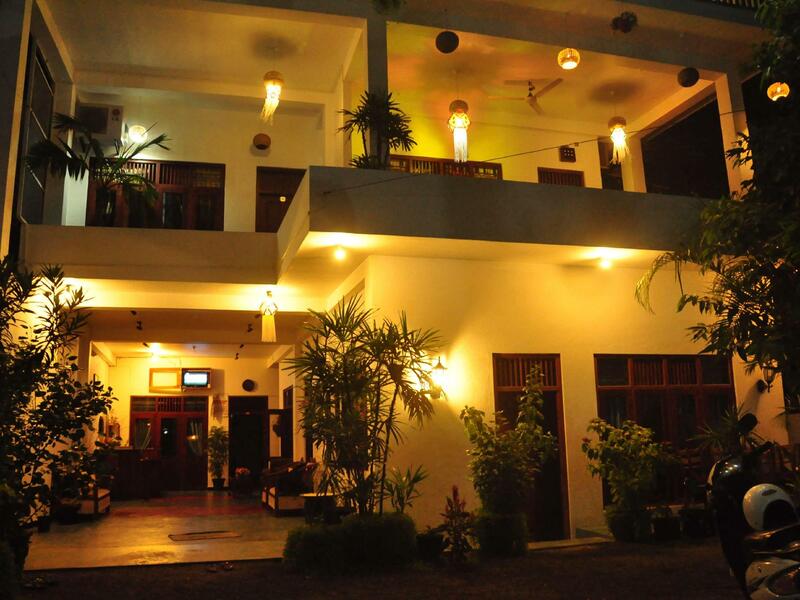 very comfortable, check in was easy , the staff is very helpful and pleasant , lovely rooms ! Good sized rooms with comfy beds and plenty of space. Central location ,close to main beach area with as short cut at the side to the far end of the bay. Quite enough location with good staff and great breakfast. Would recommend and would return.